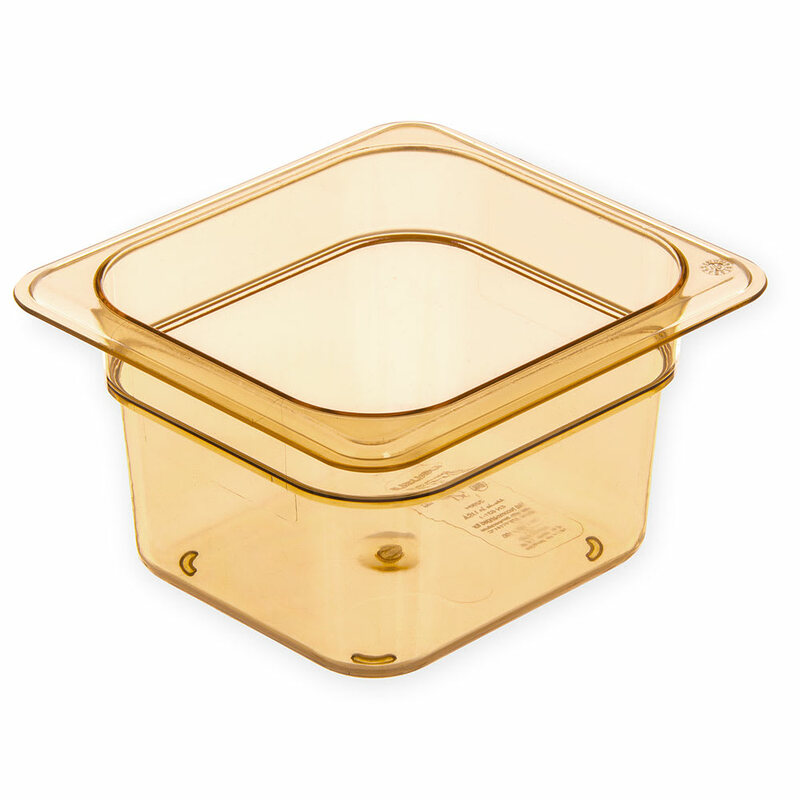 The Carlisle 3088413 StorPlus™ high-heat food pan is able to hold 1.7 quarts of product. Since this unit withstands temperatures from -40 to 380 degrees Fahrenheit, it can be used in food wells, holding ovens, and microwaves. The molded-in graduation markings help users keep track of inventory, and cracking and chipping are prevented by the reinforced top and bottom corners. The interior bottom is specially designed to make scooping product out simple. 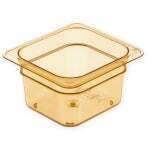 The Carlisle 3088413 StorPlus high-heat food pan comes in amber.